As a student of spirituality you know in your heart that life shouldn’t feel this hard and that the Laws of the Universe are supposed to work for you – not against you. It can be so frustrating when you set a goal or create a vision only to have your mind and emotions talk you out of taking the steps that will get you there. And then – oy vey — the script flips into victim mode and your inner bully (what I call the EGO) starts blaming other people and even LIFE itself; anything to project the blame outside of you being the culprit. Then the feelings of powerlessness mount until you find yourself checking out of life, sitting on the couch, avoiding people and the very opportunities you were dreaming of that you know could bring you deep joy and happiness! Here’s the thing – understanding, and even believing, spiritual principles is not the same as knowing how to use spiritual principles to create or manifest your dreams. Knowledge is not the same as SKILL! I might understand how a piano works, but that doesn’t make me a concert pianist. Time after time, clients have shared with me that they’ve studied self-help and spiritual laws for decades, but can’t seem to affect a change on their mood or their life. They groan and lament that they’ve taken all the classes, read tons of books, been to workshops, sat in prayer and meditation, rehearsed the affirmations, done yoga, (flossed, wiped and polished their mirrors –LOL), but they see no results in their mood, health or finances. That EGO voice would have you believe that there’s something wrong with you or that you don’t deserve good things. Or, even worse yet, it would have you think that God doesn’t love you or even want you to have joy and prosperity. That kind of thinking is EXACTLY the problem. 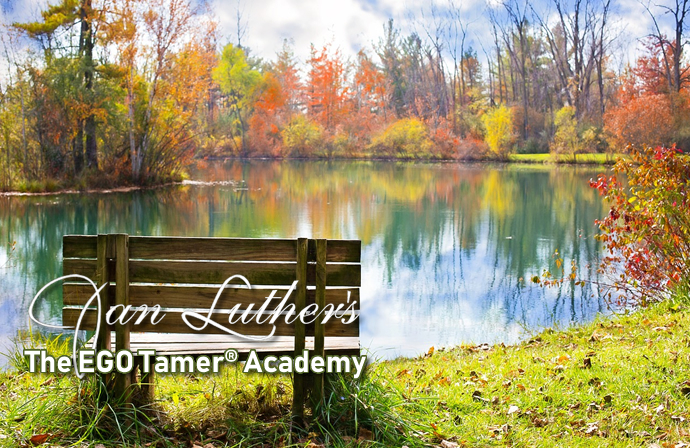 The EGO Tamer® Academy is all about learning dozens of ways to shift your attention, your mood and – most importantly – your energy so that you’re in a high enough vibration to hear at the frequency of God. So what you need are practical life skills in spiritual living principles. Enjoy greater health and well-being. Learn what “Taming the EGO” looks and feels like: There’s a natural process that occurs when we do this healing work. You experience a feeling of lightness, freedom and peace that is symbolic of being in a higher vibration. From within that state of higher vibration you’ll experience the quiet mind that enables you to hear the voice of God. We’ll liberate your energy system in a way that will give you the emotional bandwidth to feel the presence of the Holy Spirit. And in that quiet, holy space you’ll intuitively begin to hear and understand The Will of God on your behalf. You’ll have renewed hope, faith, purpose and power. You WILL be Rejuvenated at a Soul Level! 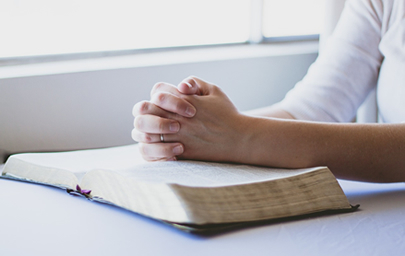 It can be so frustrating when we set goals, make vision boards, say our daily affirmations, OM, do yoga, pray, mediate, eat right and floss, etc., and yet see “no real results.” EGO would have you believe that there’s something wrong with you or that you just don’t deserve good things – or worse yet – that God doesn’t love you or want you to have ease, joy and prosperity! All of these blocks, thoughts and beliefs are EGO-driven and the outcome is you suffering! And much more! In fact, most of the content will be shown to us when we meet live in person, by phone or via webcast! You’ll get Tools for Creating Peace. Throughout this course we’ll do meditation, prayer and energy work, A LOT! You’ll learn ways to amplify the volume of Your Inner Voice knowing that peace and inspiration are available to you with every breath through the Still Small Voice of God. You’ll learn how holding the vibration of Gratitude puts you in the Creative Driver’s Seat! You’ll transform from the inside out, as you change the long-held beliefs that have been holding you back and achieve your juiciest goals and experience your loveliest dreams. You’ll also have a community of like-minded Souls to support you. The Mission of The EGO Tamer® Academy is: To help you more fully embody Divine Source Energy and utilize that power to deliberately and consciously design, manifest and experience your most breathtaking life. Who I am here to serve: Serious Spiritual Seekers and Healers who know that once you fully embody The Divine Source Energy and use it to create your delicious full life, then you can teach others to do it, too. Get insights, tapping scripts, training updates and more when you sign up for my newsletter mailing list!